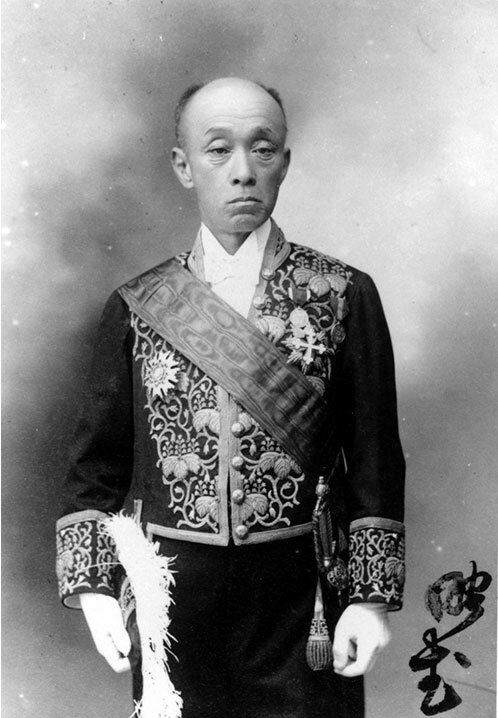 Akitake Tokugawa was the younger brother of Yoshinobu Tokugawa. He was the eighteenth son of Nariaki Tokugawa, the ninth lord of the Mito clan. He lived his life together with Yoshinobu. Yoshinobu welcomed 13-year old Akitake into the Head Family of Tokugawa (the family positioned to continue the shogunate) and he was given the social status of a candidate to be shogun. After this, he was sent to the 1867 Paris Exposition as a representative of the shogun. The purpose of sending him to Paris was to overcome the predicaments facing the shogunate through cooperation with France. Akitake also visited Belgium, the Netherlands, Switzerland, Italy and the United Kingdom. He was the first person from Japan to carry out court diplomacy with kings and emperors from various countries. Later, he returned to Japan after the Meiji Restoration and become the last lord of the Mito clan. However, at that time, the era of the shogunate was already over. Akitake Tokugawa once again returned to Paris to study from 1876 to 1881 so as to widen his knowledge. He retired in 1883, and completed the Tojo-tei House in Matsudo the following year. After that, he finished putting the garden in place over three periods in 1890. Akitake Tokugawa enjoyed hunting, fishing, making pottery, cycling and taking photographs with Yoshinobu and other relatives in Tojo-tei House. His philosophy of simplicity and his modest way of life remain in his building, garden, photographs, ceramics and other cultural assets.